Why do community engagement and school climate matter for low-income families of color? Why are community power and decision-making vital to transforming our education systems? California is at a crossroads in the implementation of the Local Control Funding Formula (LCFF), the most sweeping reform to school funding in the state in 40 years. Fundamental to the promise of LCFF is the targeting of additional funds to the students in greatest need, particularly low-income, English Learner, and foster youth students, in order to improve educational outcomes and address opportunity and achievement gaps. The new formula also emphasizes local control and decision-making by the administrators and educators––as well as the students and families––closest to the need for educational improvement. After several years of LCFF implementation, there is still work to be done to ensure that students and families are meaningfully engaged in local decisions and improvement plans, known as Local Control Accountability Plans (LCAPs). Furthermore, progress must continue to be made to ensure that school climates meet the needs of all students and families, particularly students of color, immigrant students, low-income students, and other historically underrepresented student groups. At a moment where school safety is a key issue, schools must be welcoming and trusting spaces for young people to thrive. In particular, students, parents, teachers, and administrators must be surveyed every year to assess whether the basic elements of safety, relationships, conditions for teaching and learning, empowerment and engagement are being met. School climate continues to be a top priority for Californians as research shows it’s linked to both academic and social-emotional development for students. Meaningful community engagement is critical to ensure that the solutions, practices, and budgets proposed to bring about school improvement actually address the challenges, barriers, and needs faced by students and their families. While some schools and districts have piloted successful engagement practices, much work remains to be done across the state to build the tools and capacity for schools to empower students and families to engage in educational change and decision-making. At the core, school systems need a cultural shift that views students and families as having their own expertise on education that can complement the expertise of educators. Relationships are at the center of this needed shift, because relationships based on trust and collaboration are the foundation for continuous school improvement. A shift in capacities, culture, and relationships is especially critical to engage underrepresented students and families, particularly students of color, immigrant students, and foster youth, who aren’t necessarily reflected in the educational leadership of schools and districts and need support to build trusting relationships with administrators and educators. The lessons and best practices from Palmdale demonstrate the importance of addressing school climate and engaging the people directly impacted by education––students and their families. 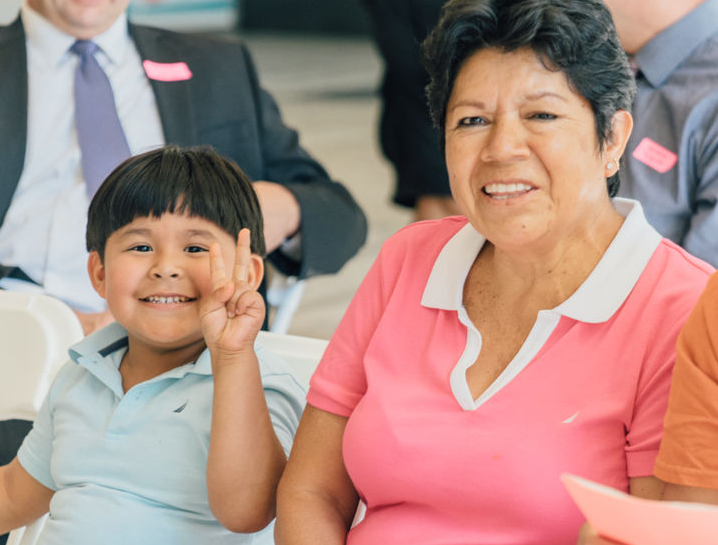 This is especially valuable for communities of color, immigrant families and low-income families as it helps develop relevant solutions that address educational inequity and begin to close the opportunity and achievement gaps within those groups. These lessons and practices must be applied to districts and schools across California if we are to make the promise of LCFF to create a new equitable way of funding our schools a reality. If the students and families from these diverse communities aren’t engaged in decision-making, schools run the risk of “one-size-fits-all” solutions that won’t necessarily work or having “blinders” regarding certain student groups. For the equity and school improvement promises of LCFF to be fulfilled, meaningful engagement and empowerment of students and families, positive school climate, and trusting relationships must be at the heart of these efforts. The good news is that across the state there are organizations and individuals committed to seeing LCFF work at its full potential and serve those who it was intended to serve. 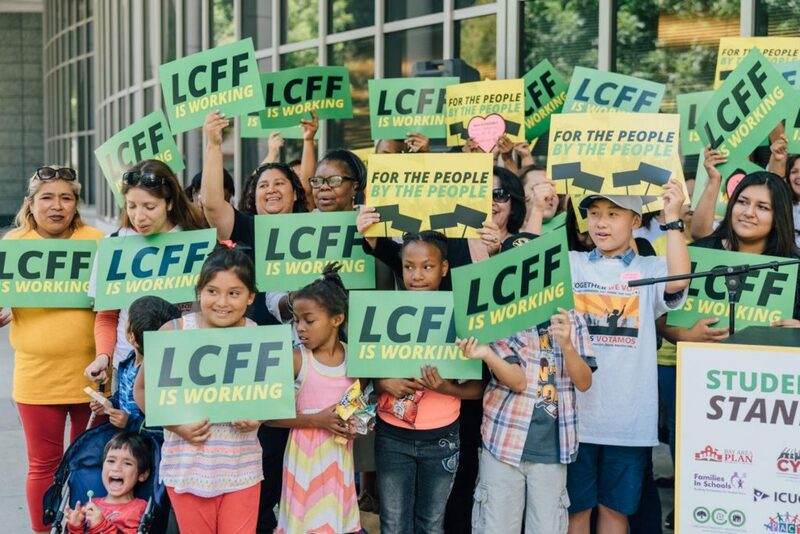 Folks across the state are working locally to improve LCAPS, and statewide to put forth bills to highlight the resources and capacities that are needed for successful LCFF implementation. 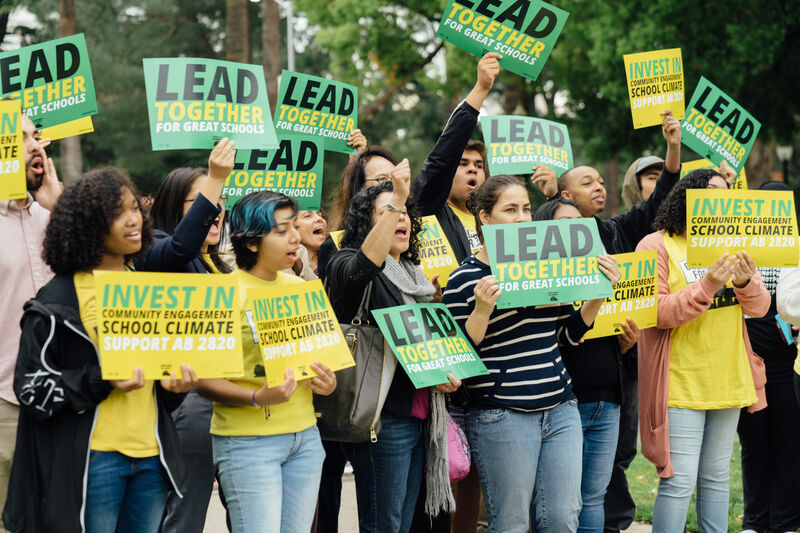 Californians for Justice, in partnership with the Defend and Mend LCFF Coalition, are working in their schools and districts to ensure student and parent community engagement is realized. The coalition consists of over 15 organizations across the state. 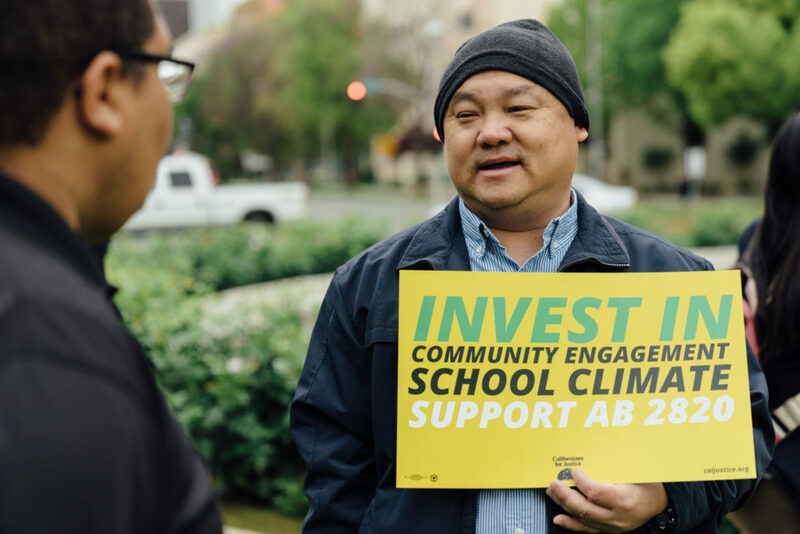 One strategy is the successful passage of Assembly Bill 2820, the bill would provide support for districts to build their capacities and resources to meaningfully engage students and parents, as well as fund school climate surveys. Learn more about our “Investing in Community Engagement & School Climate” bill.